« What Would New EPA Rules On Carbon Emissions Mean For Missourians? Cruising Toward Progress Or Slamming The Brakes On Missouri’s Economy? (Jefferson City, MO) – There’s a common saying in political and media circles that goes something like this: “politics makes strange bedfellows”. Meaning, the issues of the next election can determine your friends in the campaign. Sometimes, that means a temporary rearrangement of alliances. That’s the case with Amendment Seven, a proposed change to the Missouri State Constitution that’s on the August 5th ballot. 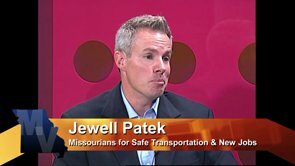 “Should the Missouri Constitution be changed to enact a temporary sales tax of three-quarters of one percent to be used solely to fund state and local highways, roads, bridges and transportation projects for ten years, with priority given to repairing unsafe roads and bridges? In other words, should we raise the sales tax to improve our transportation infrastructure? Both sides agree on some aspects of the debate. Roads and bridges aren’t built overnight and our transportation infrastructure is both inadequate and deteriorating in several parts of the state. The question becomes one of funding. Former Republican State Representative Jewell Patek is working on the campaign for the proposal. He points out that MODoT has covered thousands of miles of highways with safety upgrades like rumble strips, cables and guardrails and says the job is not done yet. While the Republicans in the Missouri Legislature has worked to reduce other taxes and typically oppose increasing taxes, it’s a Democrat who is speaking out against this one. 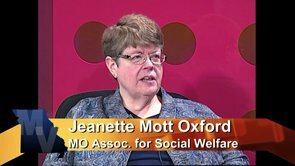 Former State Representative Jeanette Mott Oxford is now the Executive Director of the Missouri Association for Social Welfare and she says the idea will hit Missouri’s poorest the hardest and, in her view, that’s not fair. Mott Oxford also takes issue with the idea this is a “temporary” tax and a small one. Under the proposal, voters would have to decide to end the tax in ten years for it to actually expire. She wants voters to see the size of the tax increase from a perspective that may not always be considered. Many Republicans, on the other hand, are pushing for this tax plan, saying some kind of action must be taken now. The GOP-controlled Legislature put the plan on the ballot. Patek argues that the sales tax will not be the burden on the poor that opponents claim because the tax increase would not apply to everything. Special thanks goes to Missouri Life magazine for providing generous support that allowed us to produce the show in Jefferson City, at the JCTV studios for this week.